Last week, AJ Styles lost to Sami Zayn when Shane McMahon attacked Kevin Owens during the match. Now AJ has to face both Sami and Kevin at the Royal Rumble. Renee Young is in the ring and she brings out AJ Styles. Renee asks AJ about Daniel Bryan's decision for the WWE Title match at The Royal Rumble and whether it was fair. AJ says every time he steps foot in this ring, he takes pride in what he does. AJ says he makes mistakes and he is human. If he thought Daniel would have taken him seriously he would not have said what he said. AJ says he was sarcastic. AJ says there is a chance he could lose the title. 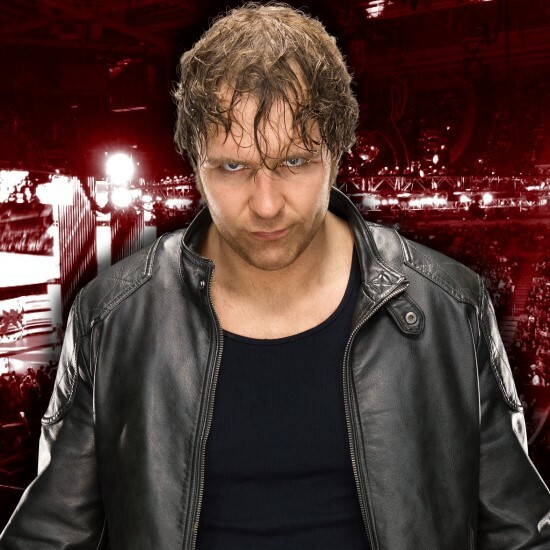 Is there a chance he could beat the crap out of Sami Zayn and Kevin Owens, you bet. His plan is to hit them hard and hit them fast so he has the advantage. The longer the match, the better their chances to win. Renee asks AJ again if he thought the decision was fair. AJ says it was not fair. Neither is life. 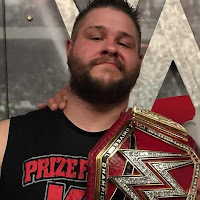 Kevin and Sami have non-title victories over them. It does not mean they have a shot at the title. He will fight them separately in the same night. 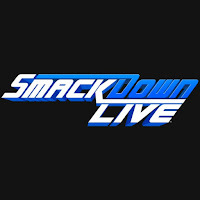 It is not smart to do it on Smackdown. Renee asks if Daniel is playing favorites with Sami and Kevin. AJ says a few people believe it, but he does not know what Daniel's deal is. He does not know what Daniel is thinking. AJ is asked if he thinks Shane is playing favorites. AJ says he does not want to be put in the middle of the Shane and Daniel situation since he is already in the middle of the situation with Sami and Kevin. AJ says he cannot let those idiots win the title. 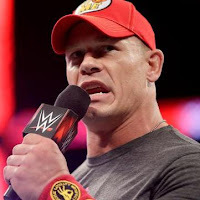 AJ says that if he can beat Kevin and Sami in the same match in the same night, there will be no doubt. . .
Kevin Owens and Sami Zayn make their way to the stage. Kevin asks AJ if they should call him the regretful AJ Styles or the remorseful AJ Styles or the AJ Styles who put his foot in his mouth last week and he is doing everything possible to back track. Sami gives a YEP. Kevin says it will be a miracle to win when it is one versus two. Kevin says heaven does not give miracles to people like AJ. You have no chance of walking out of the handicap match with that title. Sami with a YEP. Kevin says when it is all said and done, at the end of the night, they will be the first ever Co-WWE Champions. Sami with another YEP. Kevin says they will turn the House that AJ Styles built into the Kevin and Sami Show or the Sami and Kevin Show. Kevin says they will do whatever they want to do and they let out a series of YEPs. Shane McMahon makes his way onto the stage. Shane says he has to go with the champion. Is it fair he has to defend the title in a handicap match. He says nope. Shane wonders why would Daniel Bryan make that decision in the first place. Why would Daniel give Sami or Kevin another chance to become champion. 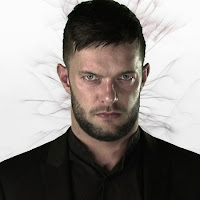 Shane says he backs the decision to have the match at the Royal Rumble for now. Speaking of handicap matches, how about doing one of those tonight. Kevin Owens and Sami Zayn can face Shinsuke Nakamura, Randy Orton, and AJ Styles. Shane walks into the Gorilla Position and Daniel is waiting for him. Daniel says that Shane is puzzled but Shane made a hell of a main event for tonight. They shake hands and Shane walks away. - Becky Lynch vs. Ruby Riott is next, but first... We go to commercial. - We are back and in a video interview Becky says that Ruby is going to get burnt tonight. Becky says she will be the last woman from Smackdown to enter the match and she will be the last woman standing. Back from the break and out first comes Becky Lynch. SmackDown Women's Champion Charlotte Flair is out next, followed by Naomi. They will be watching from ringside to even the odds. Out next comes The Riott Squad - Ruby Riott, Liv Morgan and Sarah Logan. - We see footage of Becky Lynch finding out that Sami Zayn is her partner in the Mixed Match Challenge. We go to commercial. 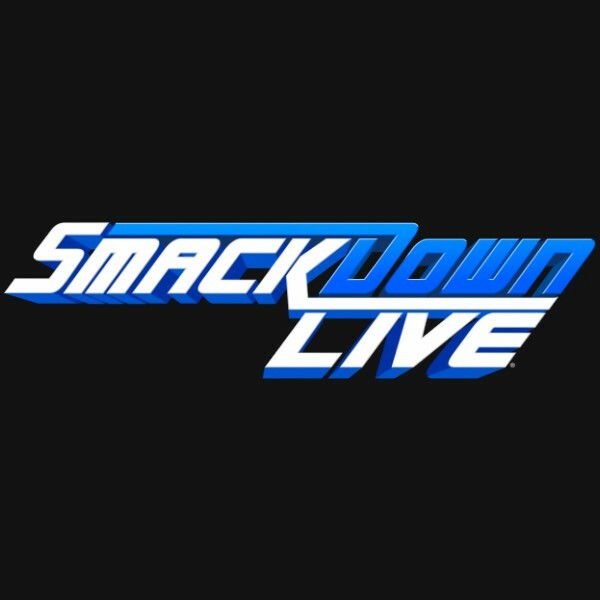 - We are back and we see how Fandango and Tyler Breeze will not be in the Ascension's corner tonight because they have a match against Rusev Day. - The announcers discuss the situation with Chad Gable and Shelton Benjamin and last week's tag title match. 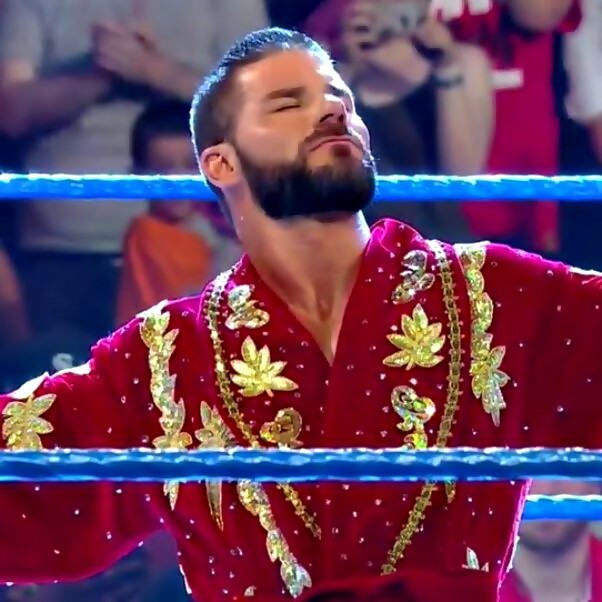 Bobby Roode makes his way to the ring to join the announcers to watch the next match since he will be facing the winner in the second round of the United States Title Tournament. They lock up and Rawley sends Ryder into the corner and Ryder with a drop kick for a near fall. Rawley goes to the floor and then he runs Zack into the corner and hits a shoulder. Ryder with knees to Rawley from the turnbuckles but Rawley pulls Ryder to the mat. Rawley slams Ryder's head into the mat and slaps him. Rawley gets a near fall. Rawley sends Ryder into the turnbuckles and then to the mat. Rawley works on the neck. Ryder with a punch but Rawley with a knee to the midsection. Rawley goes for a suplex but Ryder lands on his feet and hits a neck breaker. Ryder with a knee to Rawley followed by a forearm. Ryder with a boot and running forearm into the corner. Ryder sets for the Broski Boot but Rawley goes to the floor to avoid it. Ryder with a boot through the ropes. Ryder gets a near fall. Ryder with a chop and then he punches Rawley but Rawley with a reverse atomic drop and then he sends Ryder shoulder first into the post. Rawley with a running forearm to teh back of the head and then a running forearm to the temple for the three count. After the match, Roode enters the ring and he gets in Mojo's face. Mojo leaves the ring and Roode poses. Jinder Mahal says 2017 was defined by Jinder Mahal. For 185 days, he was your WWE Champion. No one thought it was possible and no one thought he was deserving. In 2018, he has a new prize in his sights, the US Championship. He says he hopes Xavier knows how to play Taps on his trombone because he will lose. The New Day is a fad while the Modern Day Maharaja is forever. - Chad Gable and Shelton Benjamin walk in the back as we go to commercial. - We are back and we see how Natalya found out that her partner in the Mixed Match Challenge is Shinsuke Nakamura. Chad Gable and Shelton Benjamin make their way to the ring. We see what happened when the referee made a mistake, only to have another referee tell him of his mistake. Chad asks if anyone here knows what it takes to be a winner. The hours of training, neglecting your family and friends, to chase one goal. Do you know what it takes to be a success and show your risk paid off? To hold the championships high and show the world that it is possible if you are wiling to make the sacrifice. Shelton says that just because Alabama won a National Championship, it does not make you winners. All you did was sit on your couches and stuff your faces. Shelton says Georgia was robbed due to a bad referee call, just like them last week. They were screwed last week by a bad referee call. Chad says they won the tag titles last week and they set the tag titles free from the Uso Penitentiary. Chad says they had all of that excitement from winning and Shelton mentions a referee changed things. Chad wants to know why was that referee in the match. Shelton says it was because of jealousy. Chad says he doesn't know what it takes to be a winner. That man is no hero, he is a thief. He stole their dream and he is a tattle tale. He calls him a rat and snitch. Chad says a crime was committed last week and Shelton demands justice. Chad says they are here to free the tag titles because they did not lose to the Usos, they lost to referee. Chad wants generic referee number two to come out and free the tag titles. 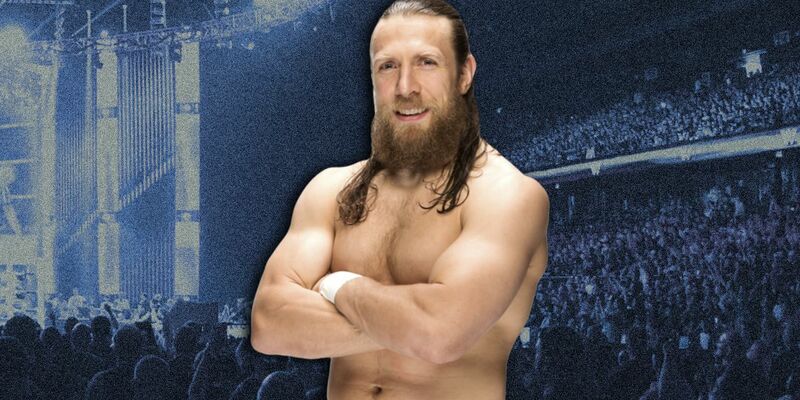 Daniel Bryan comes out to the ring. Daniel tells Chad and Shelton that he understands the euphoria of thinking you have won. Daniel says he knows about having something in his hands and then having it taken away. Daniel says he has an issue when they attack management. Chad and Shelton say they are attacking the refs and Daniel says the referees are management. Daniel says that there is a rule they need to learn and that the referee's decision is final. Shelton says they won and the referee made the decision to give them the match. Daniel reminds Shelton that they pinned the wrong man and the referee changed his mind and restarted the match. Chad wants to know if this is Dr. Phil. Shelton says that Chad should look the General Manager in the eye how he feels. Chad says that he feels that Daniel is taking out his frustration on Shane McMahon. He says he feels like they are the tag team champions. Chad asks if they should win twice. Daniel likes that idea. The Usos will defend the tag titles against Chad and Shelton in a two out of three falls match at the Royal Rumble. We see Randy Orton backstage warming up. AJ Styles walks in and they get on the same page for tonight's main event. 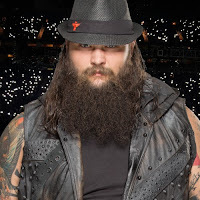 Orton needs AJ to trust him when they say they're on the same page but also trust him when he wins the Royal Rumble because he's coming after whoever has the WWE Title at WrestleMania 34. Shinsuke Nakamura appears and says not so fast. 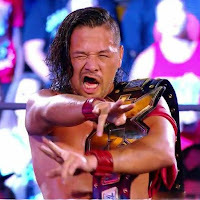 Nakamura indicates he's also going for the title. - Still to come, Rusev Day vs. Breezango. Back to commercial. We are back and Aiden English announces that they are in the Royal Rumble and they are going to win. Aiden changes the name to Rusev Rumble after Rusev whispers it in his ear. English and Fandango start things off and English with a side head lock and shoulder tackle. Fandango with a hip toss and then he puts English on the top rope and both kick English. Aiden goes to the floor. Aiden returns to the ring and Rusev tags in and he connects with a knee and forearm. Rusev with kicks to Breeze. Breeze with an enzuigiri that staggers Rusev. Breeze is sent to the apron and he connects with a forearm to Rusev. English distracts Breeze and Rusev knocks him off the apron. English tags in and he gets a near fall on Breeze. English with a knee drop and he gets a near fall. English with a reverse chin lock. Breeze with punches to English but he cannot make the tag. English with a thrust kick and he goes up top. English misses the senton and he is sent to the apron. Fandango tags in and he chops English. Fandango with an Irish whip and back body drop followed by chops and punches. English with a punch and Rusev makes the blind tag. Fandango with a drop kick to English but Rusev with kicks and a running splash into the corner and a spinning heel kick. Rusev goes Chong Li and he sets for the Machka but Breeze tries to interfere. Fandango is caught by Rusev and Breeze with a drop kick for a near fall. Rusev with a jumping thrust kick to Breeze and Fandango gets the three count with a rollup. Daniel Bryan watches on the monitor and Shane enters. Daniel says it is amazing how Breezango connects with the crowd. Daniel says this has been a great show and he likes the main event. Shane says that they are not on the same page and Daniel's decisions are impulsive. For the Royal Rumble, you have AJ Styles facing two men who shouldn't be in the match. Then you have the tag title match as a two out of three falls match. Gable and Benjamin shouldn't have had the match in the first place. Shane asks Daniel if he is okay. He says Daniel comes off as unstable. Daniel says when you look at Shane's gene pool, he will make impetuous and irrational decisions too. Shane says he will have to agree to disagree. We go to commercial. - Back from the break and the announcers plug the Royal Rumble pay-per-view. We go to the ring for tonight's main event and out first comes WWE Champion AJ Styles as Greg Hamilton does the introductions. Randy Orton is out next, followed by Shinsuke Nakamura. Kevin Owens and Sami Zayn are out next. Back to commercial. Orton and Owens start things off and Orton with a forearm and Irish whip. Orton tries for an RKO but Owens escapes and goes to the floor. Orton follows and hits Owens from behind while Nakamura distracts Owens. Orton sends Owens into the ringside barrier and then back into the ring. Owens with kicks and punches before tagging Zayn into the match. Zayn with punches but Orton sends Zayn to the mat. Orton with the Garvin Stomp. Nakamura tags in and he kicks Zayn. Nakamura with kicks to the chest. Zayn blocks a kick and Nakamura follows up with another kick. Nakamura with boots in the corner. Styles tags in and he punches Zayn and tries for a suplex but Zayn blocks it. Owens tags in and he punches Styles. Owens with a single leg take down but Styles with a head scissors and strikes followed by a clothesline and flying forearm. Zayn pulls Owens to the floor when Styles goes for the Styles Clash. Owens and Zayn go up the ramp and the referee makes his count until Shane McMahon comes out to stop the count. He says this is not happening on his watch. It is No Count Out. Orton, Nakamura, and Styles go up the ramp to attack Owens and Zayn as we go to commercial. We are back and Zayn with a rear chin lock on Styles. Styles tries to make the tag but Zayn takes Styles back into the center of the ring. Owens tags in and clotheslines Styles and punches him. Owens with kicks and a short arm clothesline for a near fall. Owens returns to the reverse chin lock. Styles with punches but Owens with punches. Styles with an Ushigoroshi and both men are down. Zayn and Orton tag in and Orton with two clotheslines and then he ducks a clothesline from Zayn before hitting the power slam. Orton with the IEDDT. Orton sets for the RKO but Owens hits Orton with a chair to get disqualified. After the match, Owens hits Nakamura and Styles with the chair as well. Shane McMahon comes out and he says the match is No Count Out, No DQ, and Anything Goes. Styles hits Owens with the chair. Styles follows Owens to the back with a chair. Nakamura backs Zayn towards Orton and then he goes into the ring and he goes to the floor and he tries to get over the ringside barrier but Orton and Nakamura stop him. They send Zayn into the ring post. Orton grabs the ring steps and Nakamura sends Zayn into them. Orton sends Zayn over the announce table. Orton with a back drop driver onto the announce table. Orton sends Zayn back into the ring and Nakamura hits Kinshasa. Orton with an RKO for the three count.